"The gang of four" (Rihla, Rayyan, Rasila and Rassam) were very successful at the shows. 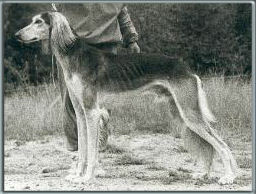 The strenght of this litter was it's movements, specifically seen from the side, with long and effective strides. Rihla had one of the best fronts of any Shamali ever (her successors are Aqila and Elishama), a fantastic upper arm and a similar forechest. 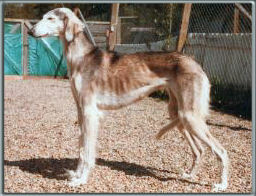 At the same time her paws was turned slightly outwards and her head could have been more elegant. Rasila's head was incredibly beautiful, she had good movements and was very feminin. Rayyan matured late to become an impressive male. He had a lovely head, good forechest but was somewhat narrow in his rear movement. 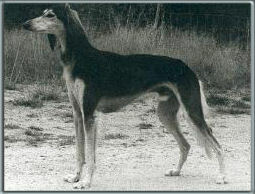 Through his progeny, Rayyan has characterized the later generations of Shamali salukis. 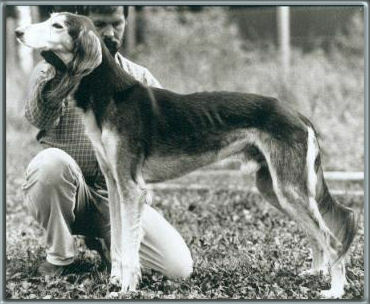 Rassam was a copy of his father Wadj in the silhouette, but thinner from the front. He had a bit lighter and more effective front movements than Wadj. 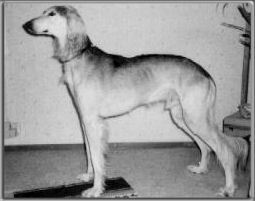 Rajin was very promising as a puppy but his underjaw was weak and together with an allround elegance he never became really masculine. But he was a nice fellow. 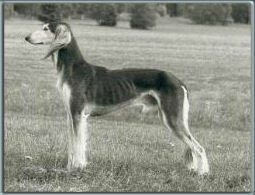 Rakim was the exterior low, 76 cm high and thin. 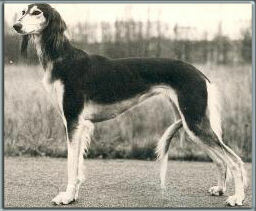 But as a dog at home and as a young father he had a solid fanclub. Rawin was very nice and of a quality just above average. 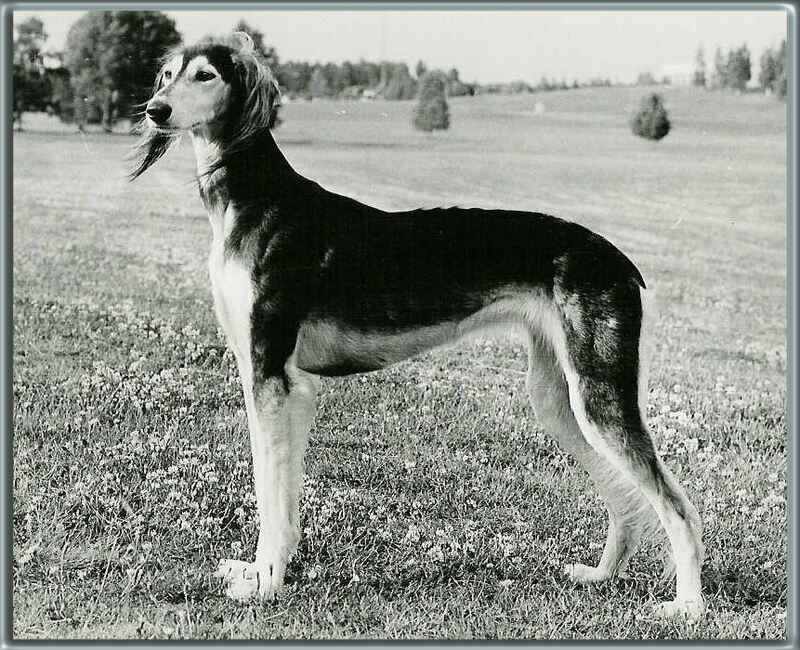 The combination Wadj-Una gave 4-5 dogs with excellent exteriors, some of which had a bit weak psyches, while some of those with less good exteriors had excellent psyches. The litter was a bit uneven, but most of the offspring got Una's effective side movement. 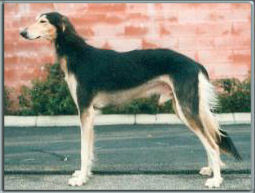 Wadj contributed with good temperament and excellent construction to several in the litter.